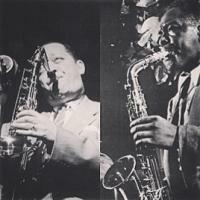 Beginning Thursday, August 27, WKCR will have a four-day festival dedicated to the music of tenor saxophonist Lester "Prez" Young (b. August 27, 1909; d. March 15, 1959), and alto saxophonist Charlie "Bird" Parker (b. August 29, 1920; d. March 12, 1955). The 27th marks Prez's birthday, and the 29th, Bird's. On Friday, August 28th we will play both Prez and Bird interchangeably throughout the day. In addition, we are extending the broadcast through 6am on Sunday, the 30th, thereby preempting Saturday Night at the Opera and dedicating the normally scheduled Jazz 'Til Dawn program to the music of Charlie Parker. Join WKCR in celebrating two individuals who were true pioneers of their music. Tune in to 89.9FM-NY or online at wkcr.org from midnight, Thursday, August 27th until 6:00 am, Sunday August 30th for the full 78-hour celebration.